This entry was posted in living, outdoor, pool and tagged architect, architecture, architettura, arredamento, arredare, casa, chalet, cucina, design, home, house, houseidea, idea, living, loft, luxury, maison, openspace, outdoor, piscina, pool, relax, resort, spa, summer, terrace, travel, villa on October 30, 2012 by admin. 5 Star Viceroy Bali Resort in the Valley of the Kings. The Viceroy Bali is a family owned and operated resort in Ubud consisting of 25 luxuriously appointed private pool villas, majestically situated in Bali’s “Valley of the Kings” an appellation given by locals for the generations of Balinese royalty who have resided in nearby villages. The resort is also well known by sophisticated international travellers as one of the world’s secret tropical hideaways and respected by its many repeat guests as a destination that places emphasis on the best of privacy and comfort. This entry was posted in hotel, resort and tagged architect, architecture, architettura, arredamento, arredare, bathroom, beach, bedroom, camera, casa, chalet, design, home, hotel, house, houseidea, idea, infinity, living, loft, luxury, maison, maldives, openspace, outdoor, piscina, pool, relax, resort, summer, terrace, travel, villa on October 29, 2012 by admin. Hilton Pattaya Hotel, Chonburi, Thailand. This entry was posted in hotel, pool and tagged architect, architecture, architettura, arredamento, arredare, beach, design, home, hotel, house, houseidea, idea, infinity, luxury, maison, outdoor, piscina, pool, relax, resort, summer, terrace, travel, villa on October 28, 2012 by admin. 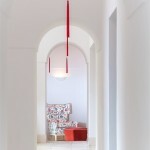 Minimalist Capri Suite Resort Hotel In Anacapri, ITALY. 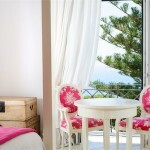 CAPRISUITE IS LOCATED IN THE HEART OF THE ANCIENT VILLAGE OF ANACAPRI, “ABOVE CAPRI”. NOT FAR FROM THE BUE GROTTO, THE PUNTA CARENA LIGHTHOUSE AND ALL THE WONDERS OF CAPRI. ORIGINALLY A PART OF THE S. MICHELES’ CONVENT BUILT IN THE XVII CENTURY CAPRISUITE IS A NEW MASON DE CHARME SITUATED IN THE CENTER OF ANACAPRI. TWO SUITES WITH HOTEL SERVICES. 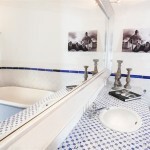 CAPRISUITE IS A CHARMING DESIGN HOTEL EQUIPPED WITH EXCLUSIVE FACILITIES. 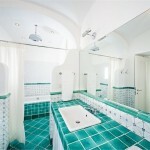 THE HOTEL CONSISTS OF TWO ROOMS, BOTH WITH PRIVATE BATHROOM, AIR CONDITIONING, TV, WI-FI, ROOM CLEANING, LAUNDRY SERVICE. ROOMS ENJOY THE EXCLUSIVE USE OF CERTAIN AREAS: THE INNER COURTYARD FOR ROMANTIC DINNERS IN GARDEN, THE LODGE FOR BREAKFAST TIME AND THE LIVINGROOM WITH ITS FIREPLACE. This entry was posted in hotel, house and tagged architect, architecture, architettura, arredamento, arredare, bathroom, beach, bedroom, camera, casa, cucina, design, home, hotel, house, houseidea, idea, infinity, kitchen, living, luxury, maison, openspace, outdoor, piscina, pool, relax, summer, terrace, travel, villa on October 27, 2012 by admin. Amsale Aberra’s Loft in New York By Vicente Wolf. The apartment of bridal gown designer Amsale Aberra is located on the 11th floor of an industrial building in New York’s Garment District. Interior designer Vicente Wolf, (actually Amsale’s neighbor) has greatly influenced the ethiopian stylist in decorating her loft. 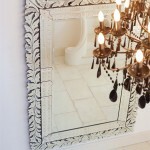 It have white concrete floors and walls painted in Benjamin Moore Super White. This entry was posted in loft and tagged architect, architecture, architettura, arredamento, arredare, attic, bathroom, bedroom, camera, casa, cucina, design, home, house, houseidea, idea, kitchen, living, loft, luxury, maison, openspace on October 25, 2012 by admin. This entry was posted in pool, terrace and tagged architect, architecture, architettura, arredamento, beach, casa, chalet, design, home, house, houseidea, idea, infinity, luxury, maison, maldives, outdoor, piscina, pool, relax, resort, santorini, spa, summer, terrace, travel, villa on October 24, 2012 by admin. Villa Ferraro by Fabrizia Frezza, Capri. This entry was posted in house, pool, terrace and tagged architect, architecture, architettura, arredamento, arredare, bathroom, beach, bedroom, camera, casa, design, home, hotel, house, houseidea, idea, infinity, living, loft, luxury, maison, openspace, outdoor, pool, relax, resort, summer, terrace, travel, villa on October 22, 2012 by admin. AL NIDO DI GIULIETTA E ROMEO, Historic Venice Hotel. Located in an area of Venice’s historic city centre known as San Cassian, just a few minutes from the Rialto Bridge and St Mark’s Square, Il nido di Giulietta & Romeo is the ideal choice for anyone planning an exclusive, unforgettable holiday. Easy to reach and handy for public transport, it makes an excellent solution for anyone wanting to experience Venice and its uniqueness to the full. The traditional Venetian architecture, abounding with wells, mosaics, frescoes and columns, merges with more contemporary, original design ideas to create the best solution to satisfy even the most exclusive, demanding clientele. All the rooms are personalized with different finishes to offer each guest an almost bespoke accommodation experience. Space, light and comfort are essential qualities in each room, all of which have either a shower or bath. SPA only in the Suites rooms. Cheerful, bold colours mixed and matched to create unexpected plays of light are another feature at Il nido di Giulietta & Romeo. This entry was posted in hotel and tagged architect, architecture, architettura, arredamento, arredare, bathroom, bedroom, camera, design, home, hotel, house, houseidea, idea, luxury, maison, travel on October 21, 2012 by admin. This entry was posted in bathroom, living, outdoor and tagged architect, architecture, architettura, arredamento, arredare, attic, bathroom, casa, chalet, design, home, house, houseidea, idea, living, loft, luxury, maison, openspace, outdoor, relax, terrace, villa on October 21, 2012 by admin. Pink Cottage, Rental Villa in Barbados. This entry was posted in house, pool and tagged architect, architecture, architettura, arredamento, arredare, bathroom, beach, bedroom, camera, casa, chalet, design, home, house, houseidea, idea, infinity, kitchen, living, luxury, maison, openspace, outdoor, piscina, pool, relax, resort, summer, terrace, travel, villa on October 20, 2012 by admin.